In order to get your car amplifier up and running, you will need to install it using an amp wiring kit. These kits come various amounts of components, wire lengths and gauge options depending upon the budget you have set for the installation kit. The best amp wiring kit is the New England Providore Amplifier Installation kit, which comes with a choice of 1/0, 2, 4 & 8 gauge options and is 20 feet in length. If you have just gone out there and purchased the best car amplifier you can find, its worth while matching the quality of the amp wiring kit to the device itself. It really can make a huge difference having a proper installation kit that is built to last. The gauge of an amp wiring kit wire is a term that you will find stated all over the packaging. Its an important feature of any installation kit and it specifies the thickness of the wire. The lower the gauge, the thicker the wire will be and choosing the correct gauge for your amp is dependent upon the amplifier itself. In general, the more power an amplifier has, the lower the gauge (more thick) the wire needs to be. 4 AWG is the standard thickness of the majority of amp wiring kits. Length is another important factor, particularly if you have a larger vehicle as it will require longer wiring in order to reach all the required components. Below is a list of the best amp wiring kits that come with various gauge options and lengths. The New England Providore amp wiring kit is a reliable and thorough amp wiring system that has everything you need to properly wire the amp in your car. It is very thick and durable, and it is also long enough to work well even in very large cars. It is also very affordable and provides great value for money because it comes with absolutely everything you need to install your car amp. Here are the notable features of the New England Providore amp installation and wiring kit. The New England Providore audio installation and wiring kit provides incredible value, because it comes with absolutely everything you need to get the amp in your car set up. The quality of the cables and the 20 percent oversized construction from the standard thickness makes it far more durable. Overall, it is the best amp wiring kit you can buy and is available with a 0/1, 2, 4 and 8 gauge wiring kit. The KnuKnoceptz KCA Amp Installation Kit is one of the best options for installing your amp. It works very well on many different types of cars and durable to provide the best possible sound quality. Here are some of the notable features of the KnuKonceptz KCA Amp Installation Kit. This kit also comes with an assortment of small accessories and attachments that you can use to install your amp, so you don’t have to purchase anything separately. The solid quality of the KnuKnoceptz KCA Amp Installation Kit gives it great value for money and makes it a viable choice for many different types of car owners. The Rockford Complete Installation Kit is a premium choice for those looking for a high quality amp wiring kit. The wiring is made from high quality American Wire Gauge with each component being designed to last much longer than alternatives. It is one of the best choices for anyone that is very serious about a great quality amp and perfect sound in their car. Here are the features of the Rockford 4 AWG Complete Installation Kit. This amp wiring kit comes with everything you need for a very powerful setup. Rockford is a very high quality brand, and every piece in this kit is extremely durable and provides excellent sound quality when it is all set up. The InstallGear Complete Amp Kit is an affordable but high quality amp wiring kit that provides good value for money. If you are installing an amp for your car but aren’t quite ready to commit to an expensive kit, the InstallGear is a great choice for you. It comes neatly packaged with everything you need to set up your amp. Here is what’s included in the InstallGear Complete Amp Kit. It’s important to note that this kit uses copper clad aluminum instead of oxygen free copper, which is does not have as high of quality. However, for the price, you get a great deal, with everything included you need to set up your amp and the requisite parts to get the good sound you want. The BOSS Audio KIT2 is another affordable kit that contains everything you need to set up your car amplifier. It comes in 4 gauge, 8 gauge, and 10 gauge versions. Everything is neatly packaged in a cardboard holder, and it comes with a detailed installation guide for those that are new to car audio wiring. The wires provided are much longer than the alternatives, which makes it a good choice for car owners with large cars. Here is what comes in the BOSS Audio KIT2 amp installation wiring kit. The BOSS Audio KIT2 has everything you need to get started with your car amp installation process. It’s neatly packaged and comes with instructions. The installation is relatively simple, so it is a good choice for beginners. If you want great audio quality in your car, installing an amp is the best way to get it. However, installing an amp on your own can be a bit challenging. Every car and every amp is different, but there are several materials that you should always expect to use when wiring an amp. Since you will be spending plenty of time installing the amp and even more time using it, you should always invest in an amp wiring kit that is great quality. The better quality the parts are, the less likely you are to need to do maintenance or replace any parts. Here’s what you should look for when buying an amp wiring kit. There are many items that you should ensure that your kit includes when making a purchase. The power and ground wire are usually the two items first listed in any amp wiring kit and are used to connect the amp to the car battery. The power wire needs to be very long, typically longer than 18 feet, depending on the size of your vehicle. The ground wire can be much shorter, usually 3 or 4 feet will do the trick as it doesn’t need to travel all the way to the battery. The RCA cable is another piece that should be included in your amp wiring kit. This also needs to be very long – at least 15 feet is ideal. It’s helpful to have a little bit more wire than you think you need to accommodate for any curves or bends that the wire encounters while you are running it along your car’s system to the required attachments. 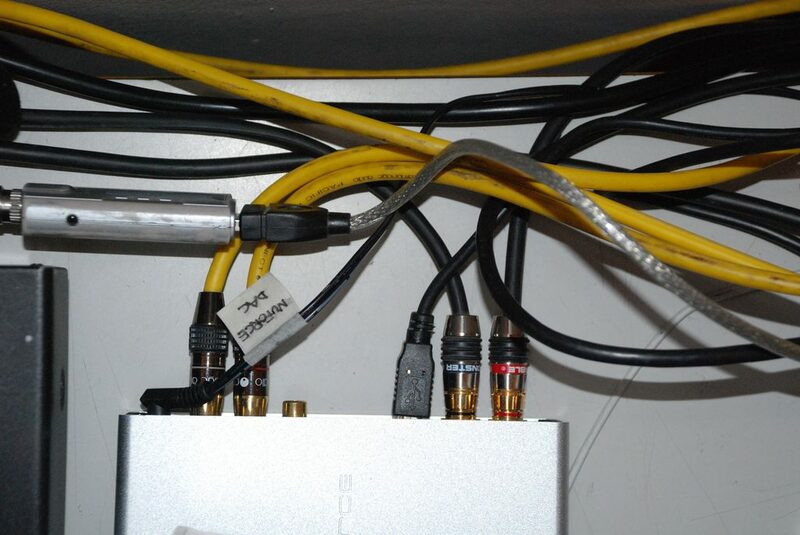 The RCA cables is a vital component that connects a car subwoofer to the amplifier via wiring the subwoofer output to the amplifier input. Speaker wire is something you can purchase separately if you want to, but it’s helpful to find an amp wiring kit that has speaker wire included. Speaker wires should be long as well, again depending on the size of your car. Extra speaker wires is always helpful to have on hand while you are installing your amp. These are a requirement to ensure that all of your car audio speakers are receiving signals from the amplifier. The fuse holder and fuse are two pieces that are also sometimes sold separately from the amp wiring kit, but are very helpful to have in the kit. 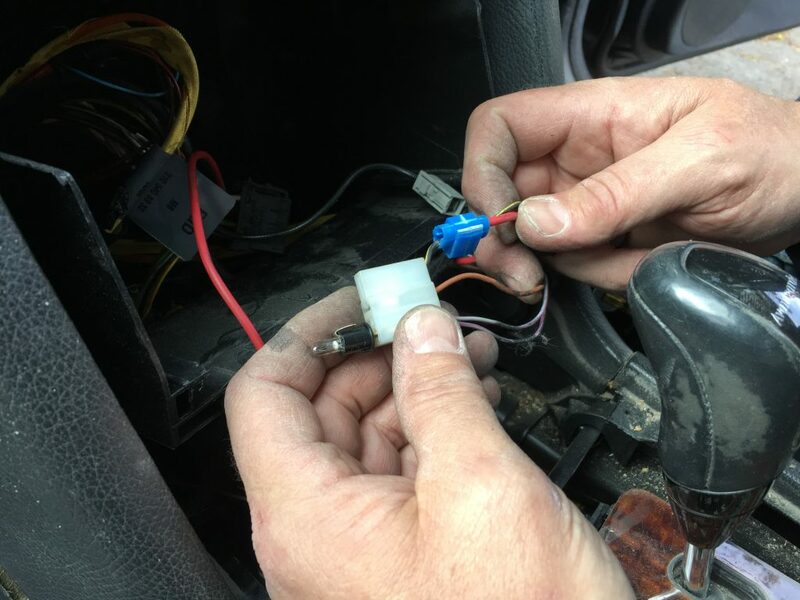 The fuse connects everything together and ensures that power gets to your amp, and you need a durable fuse holder that will hold up to the wear and tear that it might take when installed in your car. The temperature and humidity in your area can have an effect on how long the fuse holder lasts. The vibration of your car can also cause some damage over time. If you are having issue with power not flowing through to the components, an automotive multimeter will be really helpful for diagnosing the problem. It’s also very helpful to find a wiring kit that includes fasteners. This means that you won’t have to go to a hardware or electronic store searching for the best type of fasteners for your amp – everything is already included. Fasteners such as zip ties, crimp connectors, and ring terminals, for example, are often included in an amp wiring kit. Not only is this helpful and convenient, but it also often results in a better deal than purchasing the fasteners on their own. When determiniing what amp wiring kit to purchase, you will need to figure out what size of wire you need. Wire size is measured in gauges, and many amp kits come in multiple gauge options, so you can choose the one that makes the most sense for your car’s amp system. The lower the gauge number is, the wider and thicker the wire is, counter to what you might be inclined to think. The wire size you need is directly related to the number of watts your amp is using. The higher the wattage, the thicker wire you will need. 4 AWG is the most common wire gauge used for amps, but you should always check to be sure that you are purchasing the correct wire size. You should always look for a wiring kit from a respectable seller to ensure that you are getting the gauge you need for your car. Some amp kit sellers may market their products as being larger than they actually are by wrapping their wires in large amounts of installation. This may make the wire look bigger when you initially receive it, but you still won’t get the sound quality you are looking for, and it can make the installation process very difficult as well. Authentic wiring kits should list their gauge sizes according to American Wiring Gauge standardization. Many wires claim to be made with copper, but when purchasing, you will need to determine whether they are made with oxygen free copper or whether they are just made with copper coated aluminum wire. Oxygen free copper provides slightly better quality, but for the average consumer, there isn’t much of a difference between the two materials. Oxygen free copper can be very expensive, which is why many wiring kits now only include copper coated aluminum wire. It is more resistant to corrosion than copper coated aluminum, so it may last you longer. It’s up to you which type of wire you think would work best for your amp. If you have a preference regarding which type of wiring you would like, you should be sure to check the fine print before purchasing an amp wiring kit. It’s always helpful if your amp wiring kit comes with installation instructions as well. This will make the process of setting up your amp much easier. Check to see when making a purchase if the manufacturer includes a how-to manual that can give you guidance regarding how to use each of the pieces included in the kit. Without some sort of indication as to where each piece goes, amp installation can be very confusing. Purchasing an amp installation kit makes the process of setting up your amp much easier and less stressful than it might otherwise be. Buying all the necessary products on your own can be very overwhelming and expensive, but purchasing them in a kit is not only convenient, but it is usually a good deal as well. Look for a quality amp installation kit to ensure that you get the best sound out of your amp, with minimal installation time or maintenance needed.